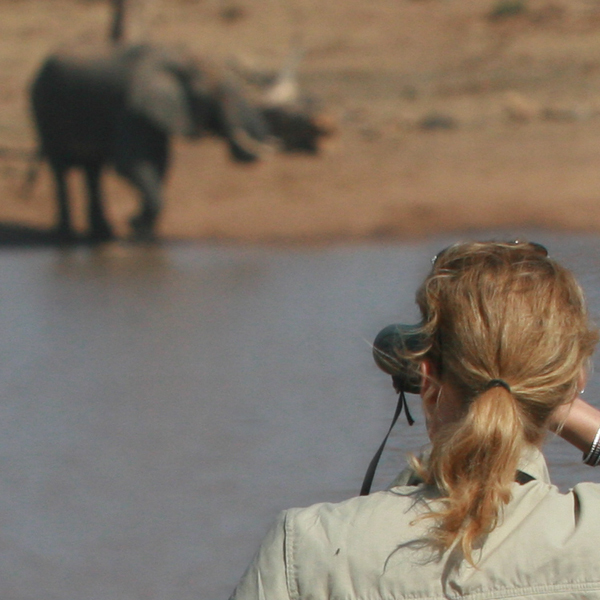 We rate binoculars as the number one safari essential. Find out why and also get more information on binocular selection, setting up your binoculars, and understanding what all the names and numbers mean. Without doubt, binoculars are the number one safari essential. A pair of high-quality binoculars are vitally important to the success of your safari - and also contribute towards your safety while on safari. We quite simply would not go on safari without a good pair of binoculars. Not only do good binoculars bring distant wildlife closer to you, vastly improving on the depth of your safari experience, but they also allow you to remain a safe distance away from the larger mammals - and potentially dangerous wildlife such as crocodiles and snakes - while still appreciating their natural behaviour and details of their species up close and personal, albeit through a lens. 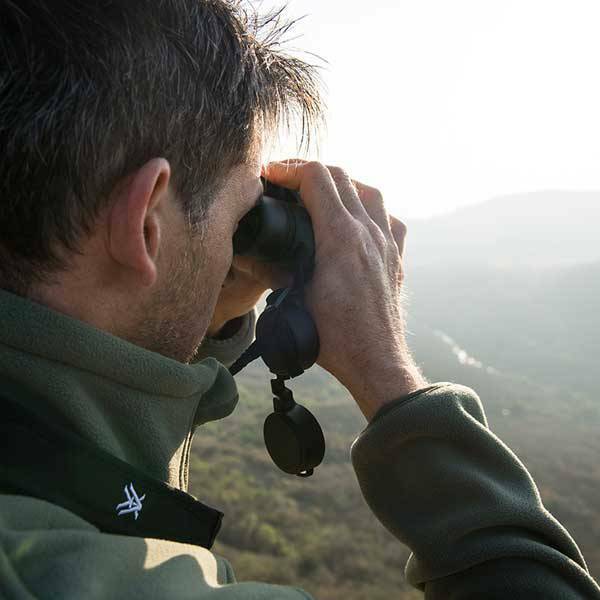 We recommend that you take at least one pair of good binoculars per couple, with one pair per person the ideal so that neither of you miss out when viewing the same hunt or nesting bird and when your guide is pointing out something you need binoculars to see. While this does depend on the quality of the optics, the general rule is that 10x42 binoculars are the ideal combination of magnification (10x) and aperture (42mm) for optimal wildlife viewing. This advice applies to just about any safari activity and we always take a high quality pair of 10x42 binoculars as standard on any safari. Some clients who are birders do prefer a smaller magnification of 8x for forest birding as it allows for a greater field of view. Again, however, we have never felt the need for a greater field of view even when forest birding and instead feel that ensuring that the lenses are of a very good standard and that the aperture is wide enough to let sufficient light in - especially in low-light situations - is more important. The two images showing the same scene above illustrates our point beautifully. At left is the scene as seen with the naked eye and, at right, the scene you would see through a pair of 10x magnification binoculars. It is the same scene, but with two vastly different viewing experiences. You also would not want to get any closer to this leopard who was warning a nearby hyena that it had come too close. Setting the dioptre for your binoculars: It is crucially important that you set up your binoculars for your eyesight. We have included the handy instructional video on the right and written instructions below. 1. Please refer to the manual which came with your binoculars to determine where the dioptre is located. It is usually on the centre focus knob or on the right-hand eyepiece. 2. Pick up your binoculars and look through them as you normally would. 3. Close your right eye, so that you are only looking through the binoculars with your left eye. 4. Pick an object that has texture about 10 metres away and, looking through your left eye only, turn the centre focus wheel until the object is sharp and in focus. 5. Keeping your binoculars pointed at the same object, then close your left eye and open your right eye. 6. Using the dioptre - and only looking at the object through the right lens with your right eye - turn the dioptre until the object is sharp and in focus for your right eye. 6. Lock the dioptre back into place on that setting. The binoculars are now set up for your eyes and, from now on, only focus the binoculars using the centre focus wheel. Technical talk: what all the numbers and names mean. ⊙ Magnification (Power): Binoculars are often referred to by two numbers separated by an "x". For example, 10x42. The first number is the power of magnification of the binoculars. With 10x42 binoculars, the image of the subject being viewed is brought ten times closer to you through your binoculars (compared to viewing the subject with the naked eye). 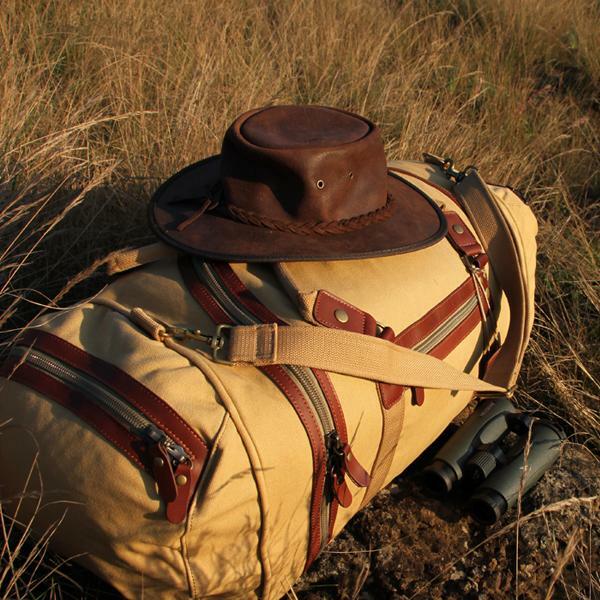 In our experience, we have found that a magnification of 10x is ideal for safaris. 8x magnification would do but we feel that, unless you have a specific reason for using 8x magnification binoculars (for example, if you are a birder heading to the forests of Uganda), it is always better to have the subject you are viewing 10 times closer. We also feel that at 10 times magnification lens shake does not come into play for the vast majority of people. ⊙ Objective Lens Size (aperture): The second number in the formula (10x42) is the diameter of the objective front lens, measured in millimeters. The larger the objective lens, the more light that enters the binoculars and the brighter the image. In our experience, we have found that an objective lens size (aperture) of 42mm is the ideal for safaris to allow for as bright an image as possible in low lighting conditions. ⊙ Roof Prism System: In roof prism binoculars, the prisms overlap closely, allowing the objective lenses to line up directly with the eyepiece. The result is a slim, streamlined shape in which the lenses and prisms are in a straight line. Roof prism binoculars are less bulky and more rugged than an equivalent porro model. ⊙ Field-of-View (F.O.V. ): The side-to-side measurement of the circular viewing field or subject area. It is defined by the width in feet or metres of the area visible at 1000 yards or meters. A wide-angle binocular features a wide field-of-view and is better for following action. Generally, the higher the magnification, the narrower the field-of-view. ⊙ Eye Relief: The distance a binocular can be held away from the eye and still present the full field-of-view. Extended or long eye relief reduces eyestrain and is ideal for eyeglass wearers. ⊙ Diopter Adjustment: A "fine focus" adjustment ring usually provided around one eyepiece to accommodate for vision differences between the right and left eyes. ⊙ Waterproof/fog-proof: Some binoculars are O-ring sealed and nitrogen-purged for total waterproof and fog-proof protection. These models can withstand complete immersion in water and stay dry inside. The interior optical surfaces won't fog due to rapid temperature change or humidity.